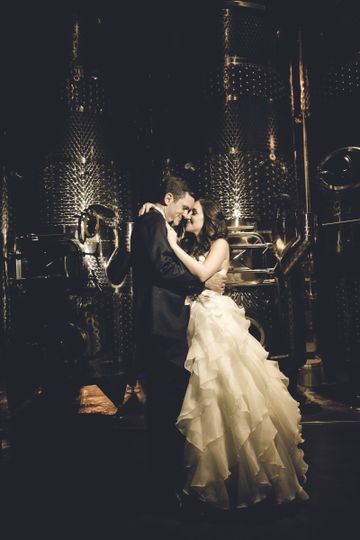 City Winery is an industrial winery wedding venue that is located in Boston, Massachusetts. This unique wedding venue has a talented events team that will help you plan your event each step of the way. 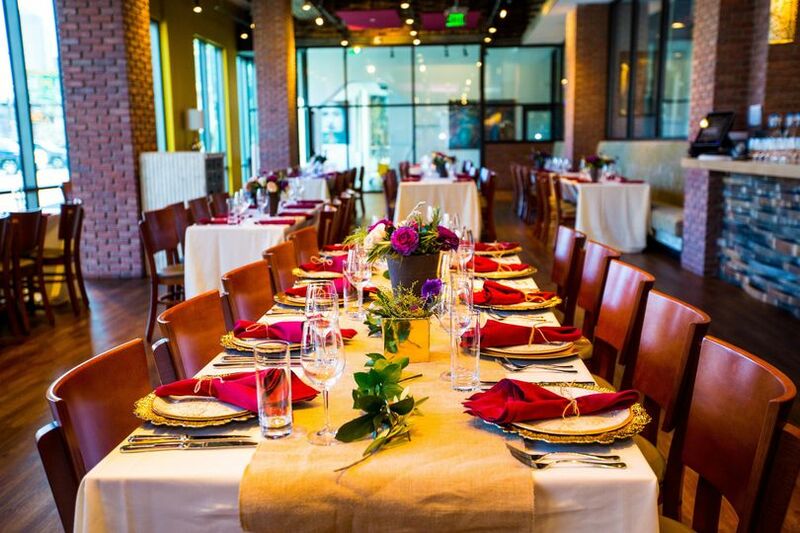 City Winery is here to ensure your wedding day is a memorable event full of great food and even better wine! 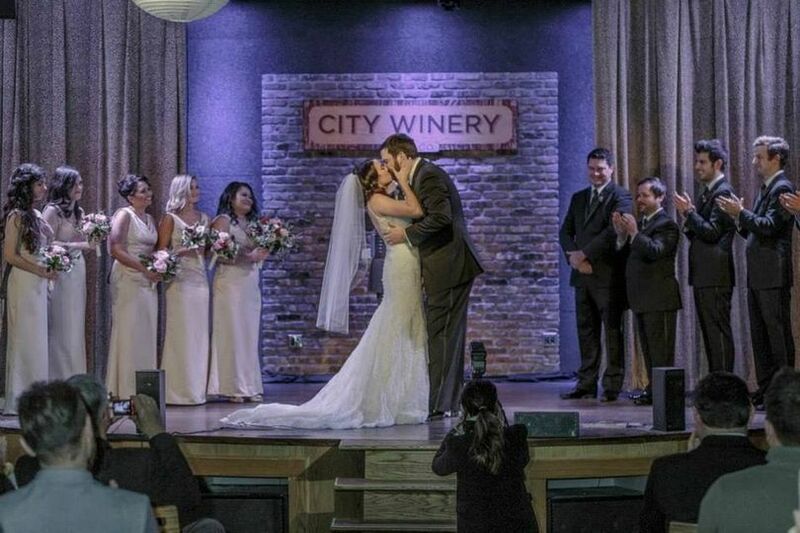 Couples may host up to 800 wedding guests at City Winery. 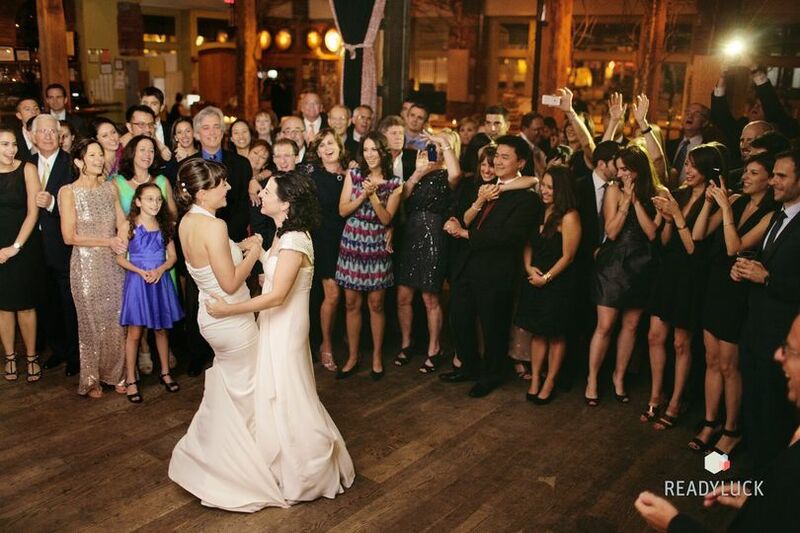 There are five indoor event spaces available for couples to utilize and customize throughout their wedding day. This includes space for a full-sized dance floor, cocktail reception and, of course, your wedding ceremony. 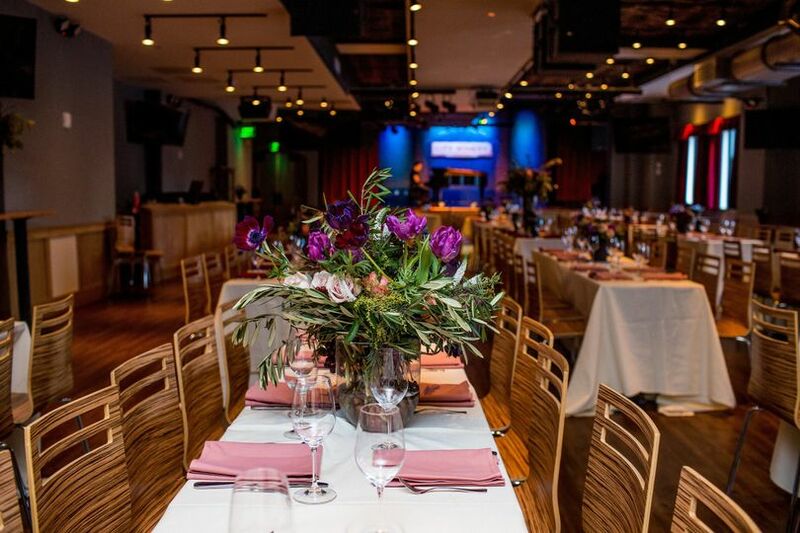 I highly recommend City Winery Boston as a wedding venue. My wedding reception took place there on 6/30/2018 in the ‘Venue Space’. We had 185 guests, which was a comfortable number for the space, though it can hold up to 200. The cost of this venue was very reasonable, especially compared to other options in the Boston area. Planning my wedding at City Winery made the process way more manageable as the venue included food, alcohol, tables, chairs, linens, and other special touches such as a card box, various decorations, and personalized wine labels. They also are more than happy to accommodate DIY personal touches as we brought in most of our own flowers, candles, and desserts. Our cocktail hour took place at the bar in the ‘Main Dining Room’ and we had a smaller room dedicated to the table tent cards and guest book—all of this was generously included in our original price. 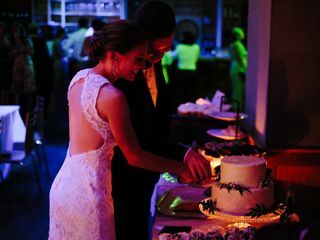 We were the first wedding in the ‘Venue Space’ and despite the fact that this was unchartered ground, the staff rose to the occasion and went above and beyond expectations. 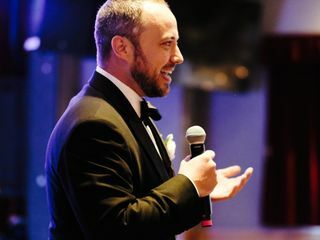 Krysten Mallet, the event coordinator, worked with us throughout the planning process and truly accommodated our wishes down to the most minute detail. She was so easy to work with and honestly felt more like a friend by the end of it. She ran the show on our wedding day and we felt completely confident in her abilities. 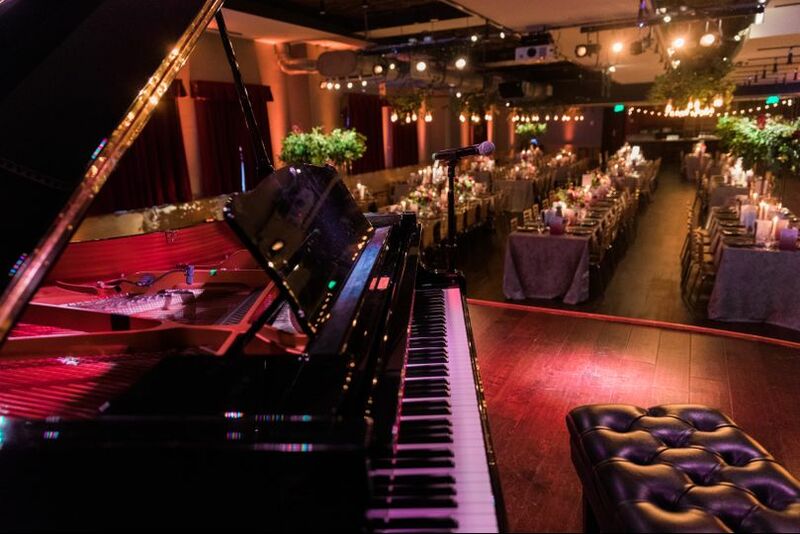 The City Winery staff—Krysten, Katie, bartenders, wait staff, sound check staff—worked seamlessly behind the scenes to create a wedding reception enjoyed by all. Oh yeah, and the food was delicious (thank you Chef Enx Dadulas)! 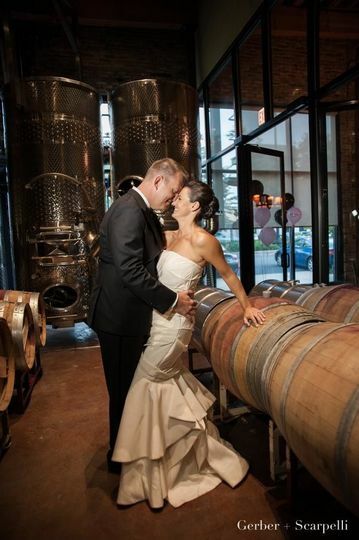 Just some tips to other newlywed couples who may be considering City Winery: 1. 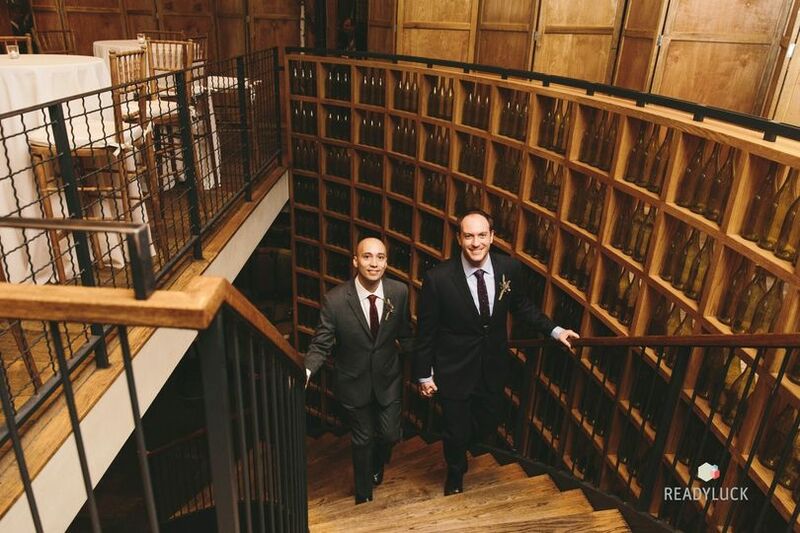 The venue is easily walk-able from the North End; our ceremony was in the North End and most of our guests simply walked to City Winery for the reception. 2. Ward 8 is a great after party spot, which is just 2 blocks away. 3. The sound and lighting system at City Winery is impressive, check it out! with you in person whenever necessary. event. She was able to find solutions to unexpected requests. 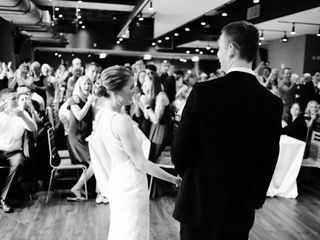 heartedly recommend the City Winey as a unique hassle-free wedding venue in the heart of Boston. I cannot say enough good things about the City Winery in Boston! It was the best choice my husband and I have ever made! We booked our intimate wedding before the venue was finished, and although it seemed a little risky, Krysten made us feel at ease and her and the team there completely exceeded all our expectations. I know we were the first wedding at this venue and they certainly did not disappoint us. 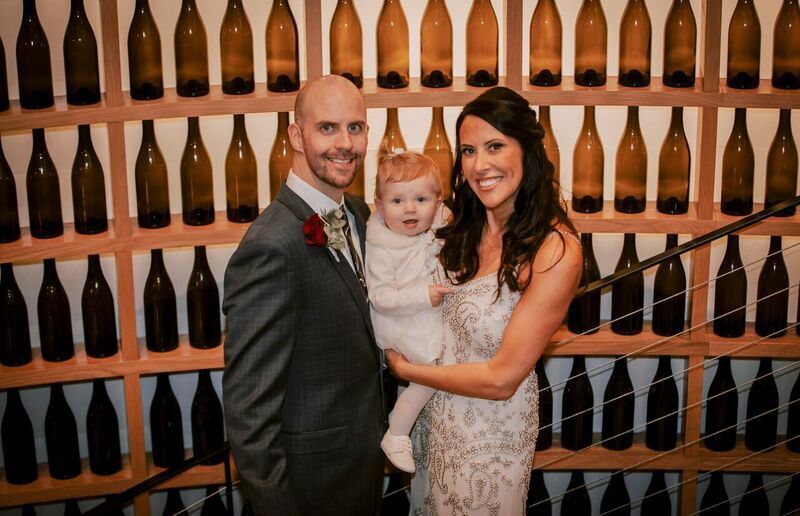 We had both our ceremony and dinner in the tasting room and we were able to get married with the the wine barrels in the back. 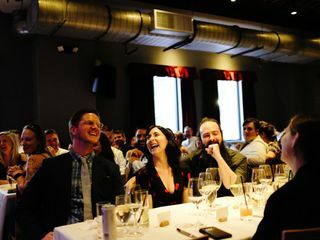 The price was very reasonable and the per person price included both dinner and drinks, but the best part about the City Winery was the staff! They were more than accommodating for us, even allowing us to pick things off the dinner menu that were not on the functions menu. Krysten, Katie, Adrian, and the entire wait and bar staff are all super friendly and professional. They really made us feel like we were more than just clients. They made arrangements for us to take photos throughout the venue without having any interruptions, even keeping the concert hall closed when an event was coming in that night so that we could take pictures on the stage in private. I would recommend the city winery to everyone, and cannot find one negative thing to say about the venue or the staff! Thank you for making our wedding everything we could have hoped for and more.